Plants indoors are not in their natural environment, which is why you need to take extra care of them! Pokon Universal Plant food contains everything your houseplants need to stay healthy and beautiful. 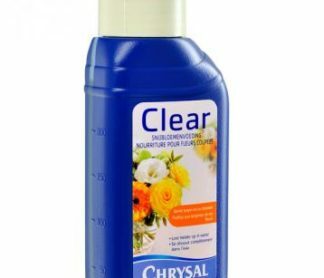 The nutrients stimulate strong growth and luscious flowers. We have added organic humus extracts to stimulate the natural balance of nutrients in your soil and make it easier for your plants to absorb them, with healthy and strong plants as the result! You can use Pokon Universal Plant food all year round. Wait for 4 to 6 weeks before giving Pokon Universal Plant food to re-potted plants. Once a week, dissolve 10 ml of Universal Plant food per litre of water. Once a fortnight suffices in the winter months. For hydroculture: 2.5 ml per two litres of water. Pokon Universal Plant food is a solution of NPK nutrients in a ratio of 7-3-7 and contains extra micronutrients and a natural humus extract. 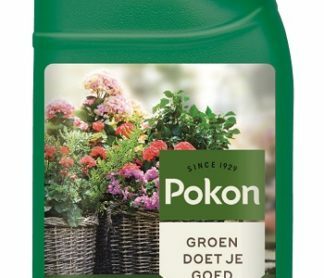 Pokon Universal Plant food is available in most garden centres in a 250ml bottle.